Have fun with horses at Waredaca–a Maryland Horse Discovery Center! 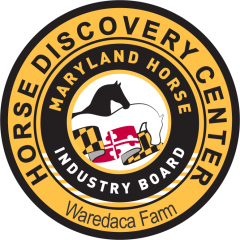 ANNAPOLIS, MD – The Maryland Horse Industry Board, a program within the Maryland Department of Agriculture, is launching a statewide network of 35 Horse Discovery Centers in 15 counties next month. These centers are carefully selected, licensed stables that are welcoming people of all ages and experience levels into their barns to learn about horses in a friendly and knowledgeable environment. The breadth and diversity of the stables in the Discovery Center network is wide and deep. They range from trail riding centers to Western riding operations to horse rescues and stables offering summer camps, English equitation, even Civil War re-enactments. Geographically they are located in all regions of the state. Last year MHIB invited its more than 700 licensed stables to volunteer to become a Horse Discover Center if they were willing to meet stringent criteria and eagerly welcome newcomers with open arms to educate them about horses and horsemanship. A total of 68 stable owners responded and attended five information workshops throughout the state. Of these, 45 applied to join the program and 35 met the certification standards of an MHIB inspection team. Criteria included proof of commercial liability insurance; written programs and procedures addressing safety rules and public outreach; clean, sanitary conditions, equipment and facilities; and of course, well cared for and healthy horses. “Most of all, the stable operators need to exhibit exemplary customer service, enthusiasm and a passion to educate the public about horses and a sense of selflessness in providing information and referrals to all types of horse activities and experiences,” said Kathleen Tabor, an MHIB board member and equine attorney. She logged more than 3,000 miles inspecting the facilities with longtime MHIB stable inspector and current board member Beverly Raymond.